На странице представлен выбранный Вами товар Garmin Garmin Vivofit 3 - Garmin Vivofit 3 Activity Tracker Fitness Band w/ Replacement Band (Purple). Having an activity tracker that functions doesn t mean sacrificing style. With the Gabrielle and Alexandra style collection of bands, your vivofit 3 will look feminine and fabulous no matter where your activities take you. These sculpted bands come in different colors, so you can pick the one that best suits your current outfit or mood. And changing out the bands is as easy as changing your clothes. 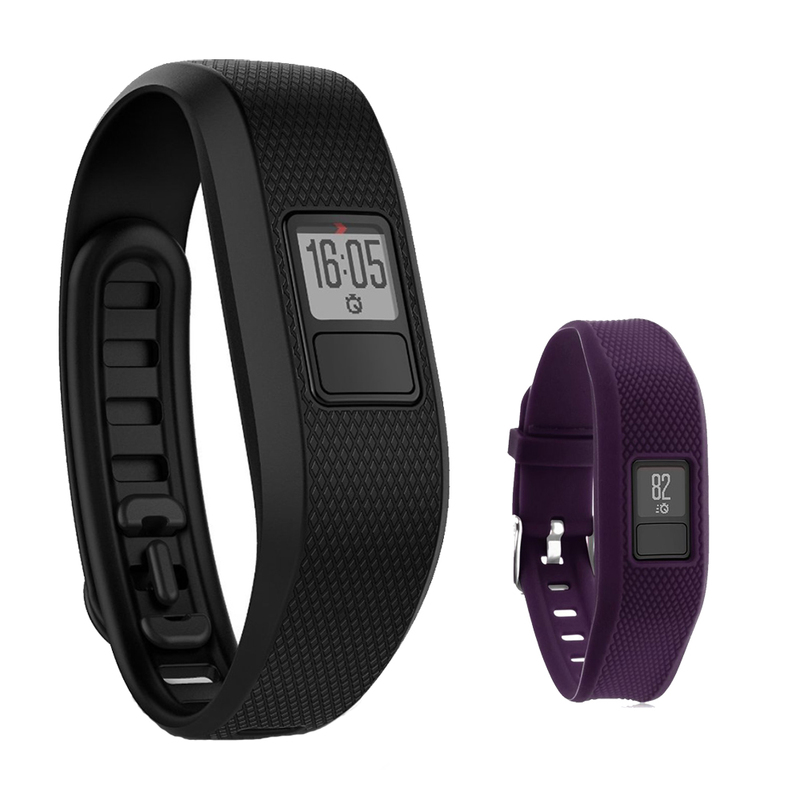 Simply pop out the vivofit 3 module and pop it into whichever band you choose. Now there's a band for every occasion, so you can look your best while continuing to beat yesterday. Jonathan Adler's commitment to impeccable craftsmanship and irreverent luxury bring style, craft and joy to our world-class wearable products that are essential to our customers' active lifestyles. Jonathan's lifestyle brand - with work spanning a myriad of categories - creates on-trend style with his signature patterns, which lend themselves well to our v vofit pattern-printed designer bands. The Jonathan Adler + Garmin collection offers separate accessory bands for vivofit, v vofit 2 and vivofit 3. Bands are NOT cross-compatible, so please check compatibility before purchasing. Throughout your day, v vofit 3 automatically syncs to Garmin Connect. Garmin Connect is the only free app that gets to know you and then delivers meaningful insights based off your data to help you beat yesterday. These include cues to move if you re not on track to meet your step goal - or shoutouts when you do hit those milestones. Plus, you'll get healthy tips from experts that become like virtual coaches. So download and lace up. Your daily tracking just got faster, easier and, well - better. 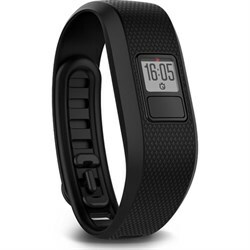 Move IQ captures different activities, such as walking, running, biking, swimming and using an elliptical, to view on Garmin Connect. No need to switch out your watch or start a new activity, vvofit 3 recognizes when your movement changes so you can go from a walk to a run in no time. Access Garmin Connect via mobile app or desktop to see your data in more detail, join challenges and compete against others. While it's ideal to be moving all throughout the day, we know that's not always the case. 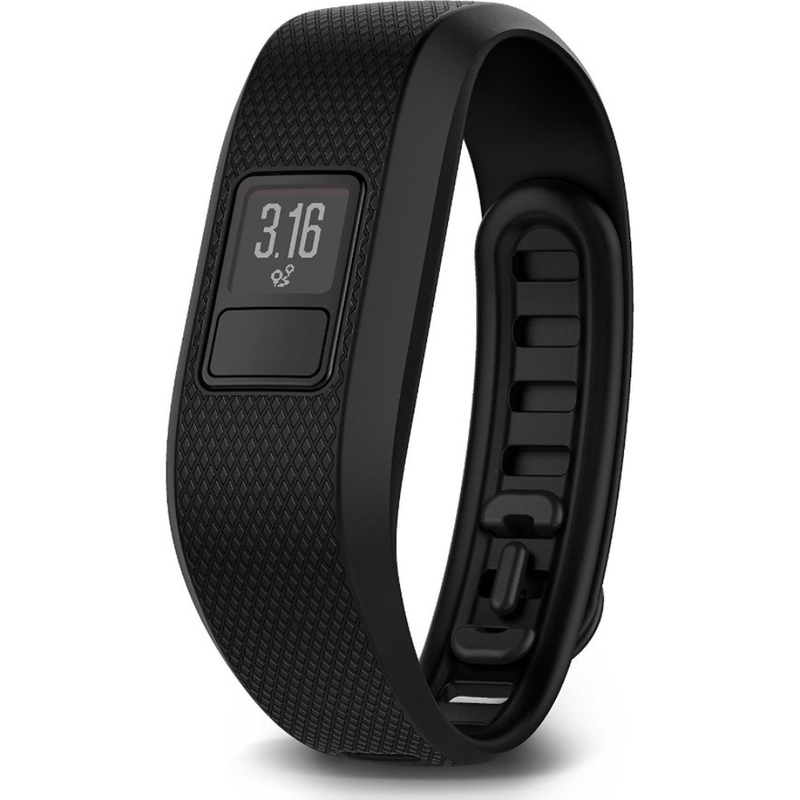 Luckily, vvofit 3 tracks any and all of your movement, including inactivity. So while you might lose track of time and forget to move, vvofit 3 won't. A red move bar appears on the display and a gentle alert sounds after 1 hour of inactivity. The move bar builds every 15 minutes until you reset it by walking for a couple of minutes. vvofit 3 follows your progress 24/7 thanks to its 1-year battery life. It automatically monitors your rest when you go to sleep. It's water resistant so you can wear it in the pool or the shower. 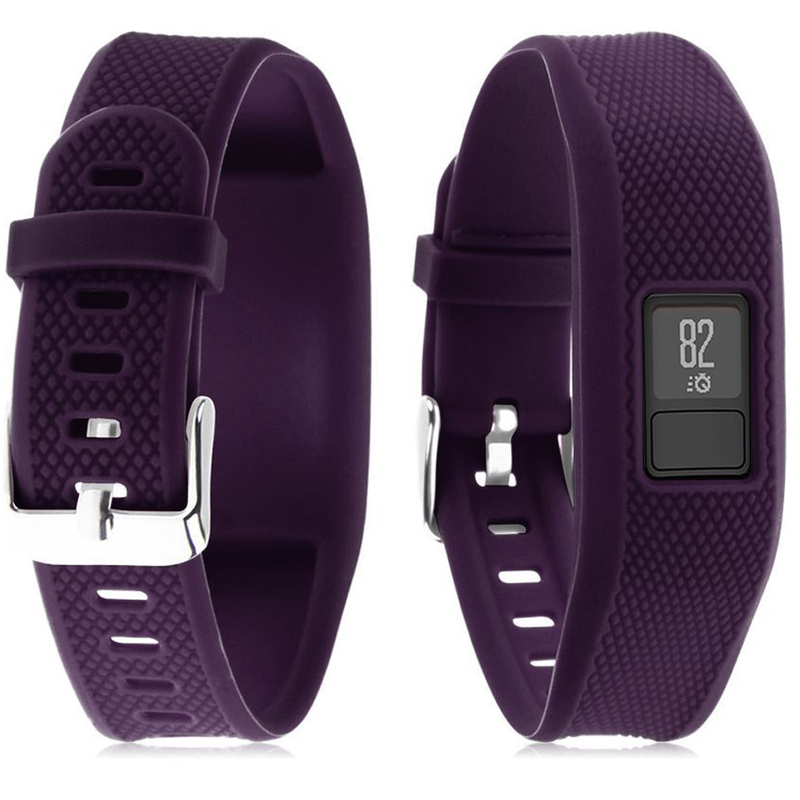 Optional accessory bands in various color schemes let you coordinate your vvofit 3 to your wardrobe. Having an activity tracker that functions doesn't mean sacrificing style. With the Gabrielle and Alexandra style collection of bands, your vvofit 3 will look feminine and fabulous no matter where your activities take you. These sculpted bands come in different colors, so you can pick the one that best suits your current outfit or mood. And changing out the bands is as easy as changing your clothes. Simply pop out the vvofit 3 module and pop it into whichever band you choose. Now there's a band for every occasion, so you can look your best while continuing to beat yesterday. Flaunt your fashion with our Jonathan Adler + Garmin collection of interchangeable accessory bands for the vvofit family of activity trackers. Jonathan Adler's commitment to impeccable craftsmanship and irreverent luxury bring style, craft and joy to our world-class wearable products that are essential to our customers' active lifestyles. Jonathan's lifestyle brand - with work spanning a myriad of categories - creates on-trend style with his signature patterns, which lend themselves well to our vvofit pattern-printed designer bands. 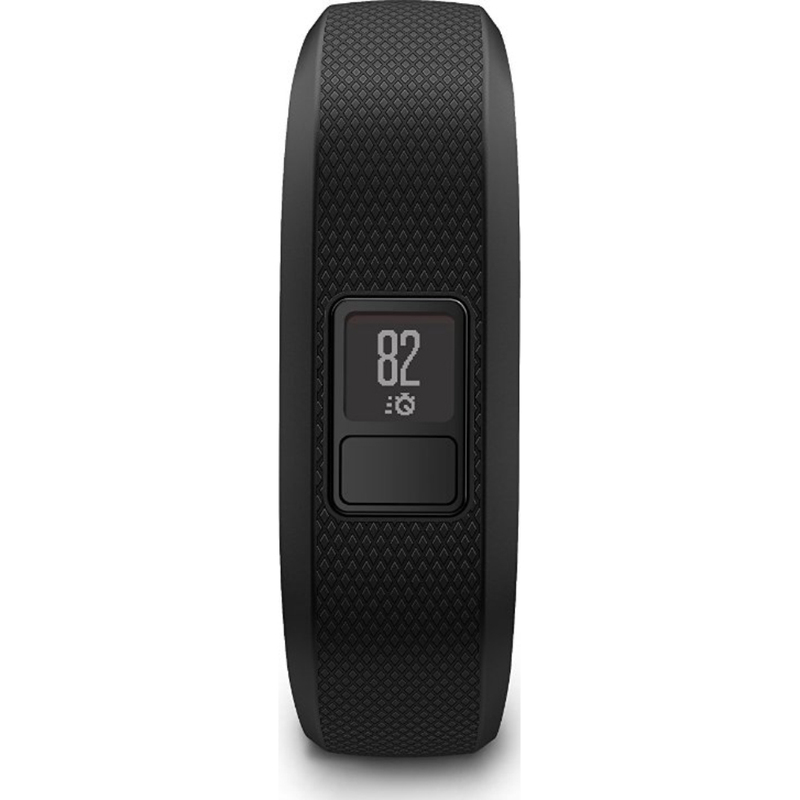 The Jonathan Adler + Garmin collection offers separate accessory bands for vvofit, vvofit 2 and vvofit 3. Bands are NOT cross-compatible, so please check compatibility before purchasing. vvofit 3 learns your current activity level, then assigns an attainable daily goal. As you meet your milestones, vvofit 3 will adjust your goal for the next day, gradually nudging you toward a healthier lifestyle.